Not a lot of other rules for her. Christine Lakeland plays music, writes songs, sings (she calls it warbling). She also is a gear-head. Christine Lakeland is well known to some as a veteran member of the JJ Cale road band. 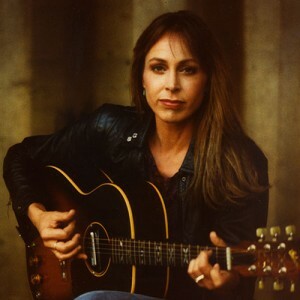 As the second guitarist/harmony singer she’s played on every one of his albums since the late 70’s, including his 2006 CD collaboration with Eric Clapton, the Grammy-winning “Road to Escondido” which boasted a stellar list of guest musicians; Billy Preston, Doyle Bramhall II, Derek Trucks, John Mayer, Albert Lee, Willie Weeks, Nathan East, Walt Richmond and more. Her own recordings and live gigs show what learning from all the right influences can add to the singer/songwriter bag. Good songs. Good grooves. She has released four cds of her own material and a limited pressing live jam cd.